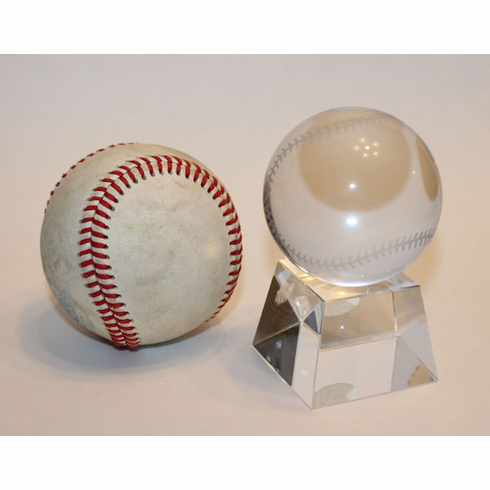 This mini glass baseball measures appx. 2.25" tall by itself and appx. 3.5" tall when in the glass holder.